Decorative pond from the 1982 World’s Fair receives new XR-5 liner. World’s Fair Park in Knoxville, TN, was constructed for the 1982 World’s Fair, where it became known as a premier venue for country and classical music concerts. The park consists of multiple event venues, decorative ponds and a two acre festival lawn. The centerpiece of the park, the Tennessee Amphitheater, reopened to the public in 2007 after it was renovated in 2005. 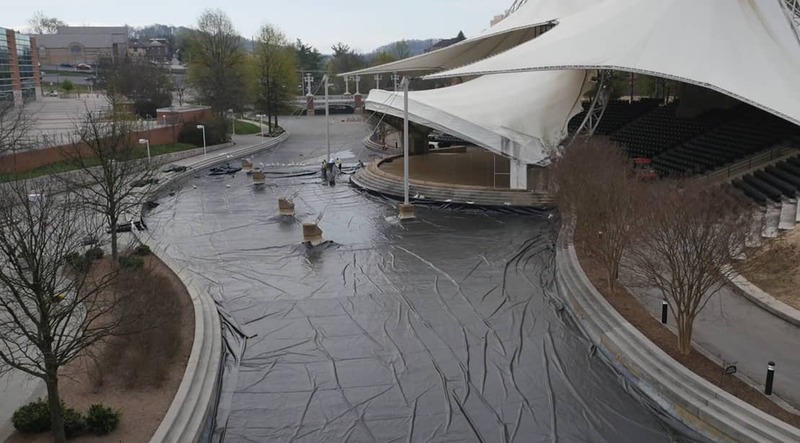 Fairgrounds facility managers requested the installation of XR Geomembrane’s XR5 material to replace the preexisting liner that was deteriorating after years of algae buildup. Contractor’s verified Seaman Corporation’s XR5 geomembrane liner because of its durability, low thermal expansion and contraction properties. In March 2016, the XR5 8138 black liner was installed in large panel segments that were field-seamed together to ensure a secure waterproof seal. Over 60,000 sq. ft. of material was installed around the perimeter of the Tennessee Amphitheater and pond area. “It is going to be a very good installation and I think the city is going to be very happy with it,” said Felon Wilson, Business Director of Industrial Fabrics. Since the installation of the XR5 membrane, the world-renown venue has continued to entertain and host events for audiences all over the globe. 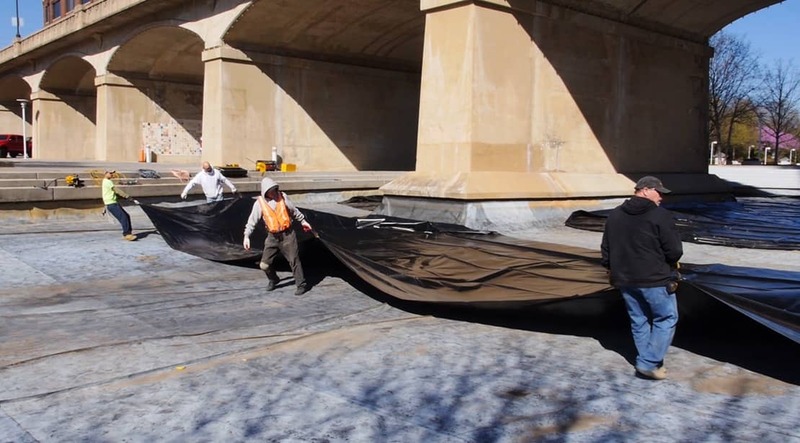 For over 25 years, XR technology has set the industry standard for geomembrane strength, durability and performance. Plus the long record of successful installations containing a variety of harsh liquids has given Seaman Corporation a recognized position of leadership in this very specialized field. XR technology is used in all types of applications including pond liners, secondary containment, floating covers, wastewater baffles and potable water containment.